Fall Frolic Needs Your Help! Hope the start of the year is going well for you all. The weather, thank goodness, is finally seeming to turn to that lovely Fall-like weather I so enjoy, and that means it is time for the PTSA Fall Frolic! This is a super fun community event with square dancing, food, karaoke, ping-pong, and then some! Heather and Michelle are heading it up this year and man, do they have some amazing stuff planned!! This year the Fall Frolic is taking place on Thursday, October 12 from 6-8pm. Mark your calendars! Like all great events, its needs volunteers to help make it happen: selling pizza and salad (yum), over-seeing the karaoke matches (oh yeah! ), helping to facilitate the square-dancing (swing that partner! ), and then some. We're using SignUp.com to help keep track of needs. Note: SignUp.com does not share your email address with anyone. If you prefer not to use your email address, please contact Nicole Cordan (rcordan@pewtrusts.org ) and she can sign you up manually. No issues. No worries. Totally easy-peasy. 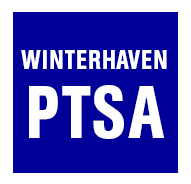 Thanks to the many amazing volunteers who make things happen at Winterhaven. Here's the key assignments, and open positions that still need to be filled by someone like you! Help us determine which 5th - 8th graders represent Winterhaven at Intel's Science Expo this spring! We need MANY volunteer judges (science experience not required) to use our new simplified (no scary terminology!) scoresheet to select the best projects in each grade on the evenings of Jan 23-25 from 5-8 pm, and Jan 26 from 1-3 pm. We need additional judges (science background preferred) to rank the finalists on Jan 26, 3-6 pm. You don't need to be the parent of a middle schooler to judge! We take all interested parties!